Electronic LED billboard displays, compared to traditional billboards, have more flexibility and advantages. LED billboard displays can be programmed to display texts, images, and animations. Our outdoor LED billboard, the Fusion Billboard® is a proprietary modular LED screen system, ideal for outdoor digital media applications. The LED billboard display is unique in design, attractive in appearance, and advanced in control technology. The Fusion Billboard® is the ultimate attention-grabbing LED billboard display. The large high definition outdoor digital media LED billboard is completely customizable to fit any new application or replace an existing printed billboard. The Fusion Billboard® also comes in a variety of available pixel pitches to optimize image fidelity depending on viewing distance and traffic speeds. LED Billboard displays offer billboard owners a number of advantages over static billboards. LED billboards have the unique ability to display multiple images with no additional upkeep. These dynamic displays also capture the attention of drivers and pedestrians better than static content. By upgrading your static billboards or installing new LED billboard displays, you can place between 12 and 16 ads on one structure, increasing profitability by 12 times or more. The Fusion Billboard® is designed with easy installation in mind. With on-site assembly constructed from multiple sections, the Fusion Billboard® is quick and easy to install, with much greater resistance to wind and inclement weather. You will feel confident in your investment with 24/7 service and support team to assist you with a phone call or online chat. All Fusion Billboard®s include a remote monitoring camera and the web-based software to manage it. New this year to our Fusion Billboard®s is a remote power monitor that features an auxiliary Electro-Matic controller and PC that is managed by a robust Siemens Power Monitor. Capabilities include the ability to remotely power cycle, monitor, switch video inputs, and receive email notifications upon any power failure. Learn more about installing new LED billboards on your properties or upgrading your static billboards with dynamic LED technology. 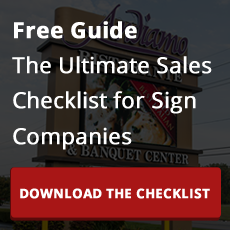 To learn more, download the Billboard Owner's Guide to Investing in LED Displays.